Arriving For Same Day Carpet Cleaning Placentia. Placentia is among our favorite Orange County cities to serve our carpet cleaning Placentia services. We know many of the local community. 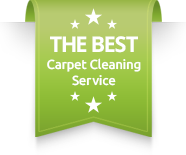 Moreover, we now offer same day carpet cleaning Placentia. For many years we were more limited with the fast response we could give to a variety of cities around Orange County. However, we have lately started another carpet cleaning line of service around Placentia and Fullerton. 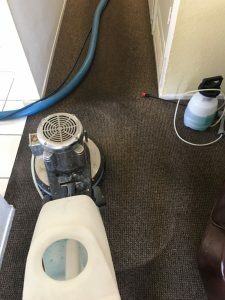 Moreover, we use a 5 step carpet cleaning system in order to achieve best carpet cleaning Placentia results for you. Also, we use the top of the line green carpet cleaning products for the safety of your loved ones. In addition, we offer same day upholstery cleaning service and air duct cleaning service in placentia. Please contact us for more carpet cleaning Placentia information and availability. Upholstery cleaning Placentia is yet another one of our most demanded service, and for a good reason. When you try to freshen up your home and perhaps avoid allergies, carpet cleaning Placentia alone is not enough. You upholstery has a higher tendency to attract and absorb dust, while we leave our sweat and moisture on. Together they form dark spots on the sofa that often have bad odors and a sticky feeling. Therefore, when you feel that your sofa or couch has reached that point schedule you next upholstery cleaning in Placentia. Moreover, we offer same day upholstery cleaning in Placentia for your convenience. We use green carpet cleaning and green upholstery cleaning special products.Air Duct Cleaning Placentia and Dryer Vent Cleaning Placentia.In addition to carpet cleaning Placentia and upholstery cleaning, when it comes to clean up your place, consider air duct cleaning. Air duct cleaning using the main return circulates the air in your home. Therefore, if you have dust in the air duct vents you will experience worst quality of air. Also, yet another service that we offer is dryer vent cleaning in Placentia. When your dryer vent gets clogged it could catch on fire. So, make sure you stay safe and clear up your dryer vent every now and then. Contact us for more information about our carpet cleaning Placentia services.